Hello to those who haven't given up on me! First of all, Thank you, Your support is everything! Also, for TLDR: Kickstarter back on, yet ANOTHER survey. Every time I promise I'm coming back, I disappear for even longer. I promise I'm working on that. I picked up a second class teaching, and have not figured out how to handle time management. Then with organizing 60 artists for the Tarot deck and running the (successful!) Kickstarter, My focus from this project kept getting stolen away. I also realized a very big thing. I was trying so hard to find a manufacturer to make my Hanafuda deck like the traditional or modern Hanafuda decks out there, that... well... it wasn't getting made. I was too focused on making it fancy, adding this, adding that, stretch goals, add-ons, and honestly got myself overwhelmed and took a break. The deck will never be made if I do that. So a few nights ago I realized, this doesn't need to be like other decks, it needs to be my deck, and it needs to be MADE. Hello everyone! Sorry it took so long, I'm still learning how to organize these games in a coherent way, I'm learning with you! So let's learn Go-stop! While originating in Japan, Hanafuda cards have spread all over the world. They have inspired many games from many different cultures. In Korea, Hanafuda is known as Hwatu (화투) and are played with Joker cards. The Hwa-tu deck is basically the same as the Hanafuda deck, except that the month of November and December have been switched, so the Paulownia is November and the Willow (Bi) is December. Also the terminology is different for the card types. The February Hanafuda suit is represented by Ume (plum) blossoms, a Red Poetry ribbon, and an special animal card, the Bush Warbler (sometimes called the Japanese Nightingale). 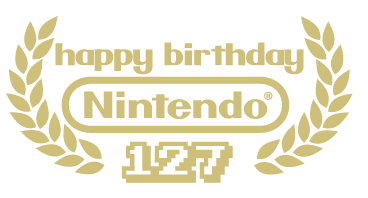 September 23rd is Nintendo's 127th birthday! So, sorry not sorry, for this filler post about a Hanafuda party, and how I plan to celebrate! Will you be celebrating? It's been awhile since my last update! Sorry! This post I'm going to tell you all about some of the stuff I'm working on for the Kickstarter, the box, the cards, and some Ideas I had for add-ons and such. Please consider scrolling to the bottom to answer some survey questions! I want this to be your dream Hanafuda as well as my own! Koi Koi is one of the most played Hanafuda games in Japan. It’s seen in movies, comics and anime (it was played a lot in Summer Wars). It falls under the “Matching” style of game played with Hanafuda and its play style is very similar to a lot of other games played with Hanafuda. Koi-Koi comes from the verb “Kuru” which means “To Come.” When conjugating the verb, the form Koi (来い) is used as an imperative (command), so saying Koi Koi is pretty much commanding or inviting “come-come” to continue play. ​ One of the regular posts I’m going to be doing in this blog is a post for each of the months. Covering the flora and fauna presented in the original cards, and then my translation into my cards. So what better way to begin than with January, the first suit of Hanafuda? The January Hanafuda is represented by the Matsu (Japanese pine) and contains a poetry ribbon and a Japanese Red Crested crane. ​ If you haven’t noticed yet, over time and with the regular banning, the games became almost exclusively for gambling. The early Komatsufuda was used for many games gambling and non-gambling alike, but as the government got stricter and began banning more cards they became less appealing to honest, everyday people and more popular with gamblers and gangsters. So it’s no surprise that when Hanafuda was finally made it was also almost exclusively for gambling. It’s also interesting to note that Fusajiro Yamauchi started marketing them only 3 years after they were legalized opening shop in 1889 (he jumped on that quick!). But we’ll come back to that! During the ban on cards and gambling, illegal gambling dens began cropping up in abandoned shrines and temples (堂). These operations became popular and appealed to Bakuto (gamblers). ​ Hanafuda cards have a unique history that stems from Western influence, gambling, and breaking the law. In these next few posts I hope to share some of the knowledge I’ve acquired from the research I’ve done, and also link you to some articles that I love regarding it. So in this first post I’m going to go into the birth of Hanafuda. (e-awase) etc . Kai-Awase or when these images were painted on the inside of shells became the most popular and remain popular even today, often played on New Year’s or used for educational games. The earliest I can find for the birth of this game is the 9th century, however many of the sets found in museums are from the Edo period in the 18th century, where it seems this game was at its height of popularity. Due to the subject matter of the game and it requiring a more educated player, these games were extremely popular with nobility and less accessible to the average person. an Iroha-awase set from my personal collection. This is an education matching game where you match the hirigana letter to the Japanese proverb. It's been a long time coming but we're finally getting there. In 2010 I illustrated my own Hanafuda deck, as a challenge to myself for a free project my Sophmore year of college. I loved what I had created but my classmates were hung up on not knowing what Hanafuda was, and honestly my crit was a bit of a flop. It wasn't the art's fault, this my teachers made clear to me. My classmates (and my teachers) had never heard of Hanafuda, so they didn't even understand my challenge. Luckily my teachers loved what I had done and didn't let me get discouraged. This response is part of what encouraged me to pursue this in the first place. When I first discovered Hanafuda I wanted more of it. Here was this beautiful, illustrative deck where the illustrations were literally the most important part of the card, not only were they beautiful but they could be used to play many games! Western playing cards have thousands of illustrated variants, and I assumed it was the same with Hanafuda. But I was wrong. In 2010 I couldn't find any versions whatsoever, other than slightly tweaked variants of the original illustrations. This immediately inspired me. I've always had a passion for modern application of vintage concepts, motifs, etc. My art pursues what I call a Retro Mod aesthetic. Japan has always been a major inspiration because I feel, as a culture, they have embraced this completely. They hold their past in every aspect of their present. I love seeing the influence of their traditional art and craft play a role in modern fashion, art, sculpture etc. I think it's beautiful. In my research of Hanafuda, I realized that while not known as well as western playing cards, these cards have become ingrained in families around the world. People I talked to always spoke of the memories of playing the games with their grandparents and families, on trips and at reunions. It's a game that ignites nostalgia. This beautiful staple of playing card and Japanese history deserves to continue to be beautiful memories. I want to share these cards with everyone I can, and I want to embrace Japan's ability to pay tribute to their traditions and their history while having one foot in their future. I hope one day their will be as many illustrated variations of Hanafuda as there are western cards. Thank you for joining me in the first step and reading this first post. I hope you'll continue to join me on this journey to get this deck finally produced and in the hands of many to create their own memories! 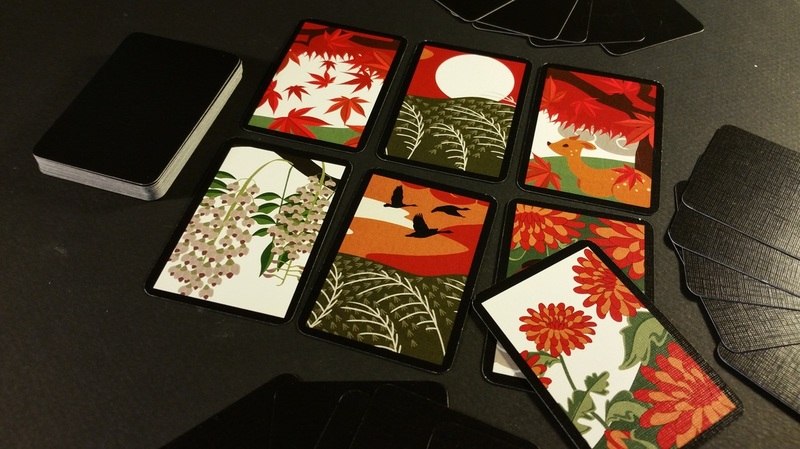 On this blog I'm going to teach you what I know about Hanafuda. As well as teach you (and learn with you) some of the many games you can play with these beautiful cards. I'm also going to share with you the Kickstarter journey, my challenges and revelations and the finalization of my art. I hope you'll participate and give your opinions! I want everyone to be part of bringing these to life! Kelsey Cretcher is a Cleveland based Illustrator. Her specialty is vector art and game illustration.